J. David Jentsch is a Professor of Psychology and Psychiatry & Biobehavioral Sciences at the University of California, Los Angeles. He is the recipient of the 2010 Joseph Cochin Young Investigator Award from the College on the Problems of Drug Dependence and the 2011 Jacob P Waletzky Award for Innovative Research in Drug and Alcohol Abuse from the Society for Neuroscience. He is a member of the Speaking of Research Committee and writes his own blog: the Unlikelyactivist. This post is the full version of a piece originally written for Substance.com under the title “A Scientist Comes Out Swinging at PETA’s Addiction Research Stance”. Biomedical research seeks to expose biological principles and mechanisms that cause disease in order to advance from a time where medications and treatments were discovered by chance to one where we reason our way to solutions for human and animal health through scientific discovery. Since the founding of the National Institute on Drug Abuse (NIDA) in 1974 (only 40 years ago), immense progress has been made into understanding, at the level of brain cells and molecules, why some drugs are addictive, why some people are particularly prone to addictive behaviors and how to treat drug use disorders. One of the reasons that so much progress has been made so quickly is that animal models for drug abuse are remarkably accurate and informative. In the clearest example of all, if you place a laboratory rat into a chamber and allow it to trigger delivery of cocaine, methamphetamine, nicotine, alcohol, heroin, etc., into their bloodstream by voluntarily pressing a button, they will do so. Rats will seek out and voluntarily “self-administer” drugs of abuse, just like people do, precisely because of the remarkable similarity in the reward pathways in the human and rat brain, as well as due to the fact that these drugs act upon brain chemicals in nearly identical ways in rodents and humans. Moreover, if you allow rats to consume the drug daily over a long period of time, a subset of them will progressively become “dependent” upon the drug, just the same way a subset of people that abuse drugs do. Dependence is indicated by the fact that the subject loses control over their drug use and continues to use the drug, despite efforts to abstain. Because of these incredible parallels between humans and animals, we now understand the mechanisms by which drugs of abuse produce reward at a deep level, as well as how these agents encourage drug-seeking and –taking behaviors. For example, we now know how parts of the brain like the nucleus accumbens, amygdala and prefrontal cortex participate in the development of drug-taking behaviors, and we know how crucial brain chemicals like dopamine and glutamate are to these phenomena. This information would not have been possible without responsible and humane research involving a variety of animal models – ranging from invertebrates (fruit flies, roundworms) to rodents (rats and mice) to non-human primates (mostly monkeys). It is reasonable to ask why, given these advances and the value of animal models, we have not yet cured addictions. The answer is simple. When NIDA was founded 40 years ago, we actually knew very little about the basic biology of the brain and its relationship to drug abuse. Decades of basic research were required before we knew enough about the brain pathways involved in reward to further understand how drugs acted on these pathways and changed them in response to long-term drug intake. Decades of basic research, still on-going, was and remains required to identify all the genes, molecules and cell processes that drugs act on but which were unknown to us as recently as 10 years ago. Basic research continues in an attempt to fully describe how the hundreds of billions of nerve cells in the brain work together to create behavior and how the tens of thousands of genes in our genome affect the function of our bodies. Coupled with amazing advances in the technology needed to study the brain, this knowledge from basic research will yield unprecedented progress towards treating addictions, as well as other disorders of the brain (from Alzheimer’s Disease to schizophrenia) will be possible. So, what has research into the biology of addictions done for us so far? In a recent blog post, Katherine Roe from PeTA claims that only one new medication has been approved for the treatment of alcoholism/alcohol use disorders based upon animal research in recent years, that it has only “limited” effect and that animal research has “green-lighted” decades of failed medication trials. Not only are each of these statements factually wrong, the truth that is subverted by her points actually demands more animal research, not less. Firstly, there are actually three medications approved for the treatment of alcohol use disorders (one is old and two are new). One new drug naltrexone (that blocks opioid systems in brain) was approved in 1994; in 2004, the FDA approved another medication (acamprosate). Both specifically target brain chemical systems discovered to be important to alcohol’s effects though animal research. In addition, the development of both medicines required animal research since they act on molecules in brain that might be unknown at all without basic research studies in rodents and non-human primates. Secondly, referring to the efficacy of these medicines as limited seems to misunderstand the nature of pharmacology. These medications do not effectively treat everyone that is medicated with them – but then, no drug used for any disease does. That’s not the way pharmacology works. That said, for tens of thousands of people with alcohol use disorders around the world, they achieve and maintain abstinence thanks to one or both of these medications: something that wouldn’t be possible for them without the medicines. For those people, animal research on alcohol addiction has literally saved their lives. Thirdly, the fact of the matter is that the desperate need for medications for drug and alcohol abuse has led both NIDA and the National Institute on Alcoholism and Alcohol Abuse (NIAAA) to undertake many clinical trials for medications before there was adequate evidence for efficacy in animal models. Many of the failed clinical trials involved these kinds of medicines. Therefore, if one is concerned about the failure of clinical trials (and we certainly should be), we should be calling for more investment in research, including in research involving animal models. Saying that animal research had “green-lighted” every single medication is simply and unequivocally wrong. There is an urgent need to know more about psychoactive drugs, particularly those features that lead some individuals to escalate initial use into regular use or dependence. 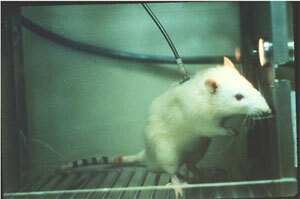 Research with laboratory animals will play a key role in these and related efforts… The College on Problems of Drug Dependence recognizes the value and importance of drug abuse research involving laboratory animals and supports the humane use of animals in research that has the potential to benefit human health and society. Such research plays a vital role in acquisition of the new knowledge needed to understand and reduce drug abuse and its associated problems. I understand that some have interpreted these comments to mean that I think that animals are no longer necessary in medical research. This is certainly not what I meant. In fact, animal models and other surrogates of human disease are necessary — but not sufficient — for the successful development of new treatments. In short, animal models remain essential to the basic research that seeks to understand the complexities of disease mechanism. Overall, opposition to animal research on addictions seems to require a deep misunderstanding of basic science research, of the state of current scientific understanding of addictions and their treatment and of basic principles of biology, like pharmacology. It also defies the overwhelming consensus of the scientific and drug abuse treatment community that emphasizes the critical need for more research, including animal-based research, in that effort. To learn more about the role of animal research in advancing human and veterinary medicine, and the threat posed to this progress by the animal rights lobby, follow us on Facebook or Twitter. Posted on April 15, 2014 April 16, 2014 by EditorPosted in News, Science NewsTagged Addiction research, animal testing addiction, medication for addiction, PETA addiction.